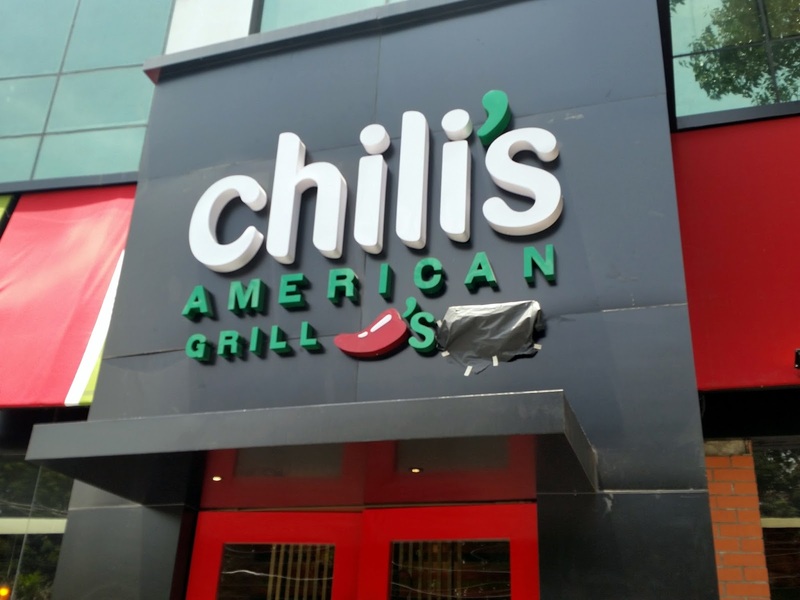 On 4th July, Chili’s American Grill and Bar, the worldwide popular chain of restaurants consolidated their position in Hyderabad with opening of their second branch at Banjara Hills. Their first outlet at Inorbit Mall is already a huge favorite of the Hyderabadi food lovers. 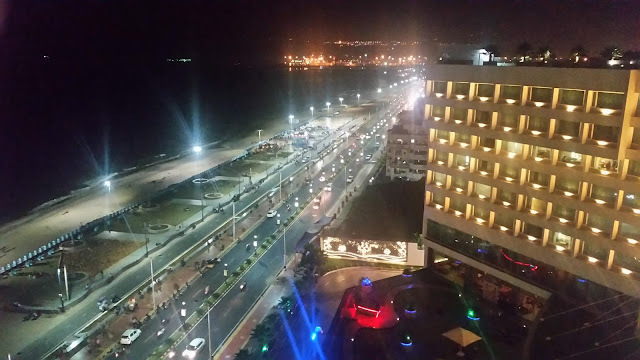 The new restaurant is spread over two floors and is extremely spacious. The décor is different from the older branch in Hyderabad, in line with the new design which is being rolled out for their restaurants chain. I was invited along with around 15 people for a preview of the new restaurant and to try out some of their signature dishes. 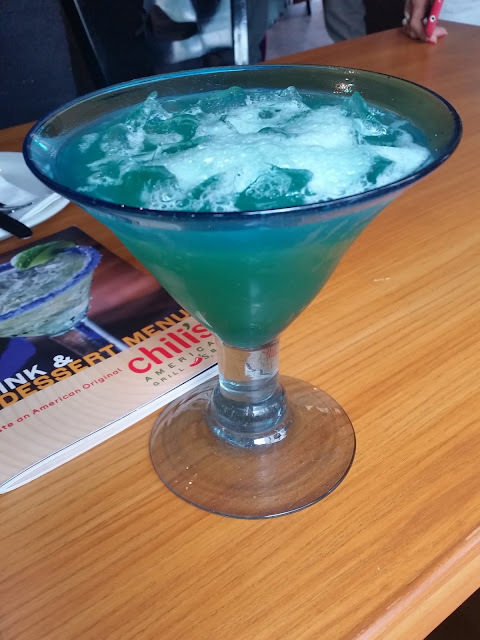 After going around the restaurant and admiring its décor, I relaxed with Blue Pacific, essentially a drink with pineapple juice with Blue Curacao syrup and soda. Some others went for various versions of exotic margaritas on their menu – based on raspberry, pomegranate and melon. Chili’s has a range of signature nachos. 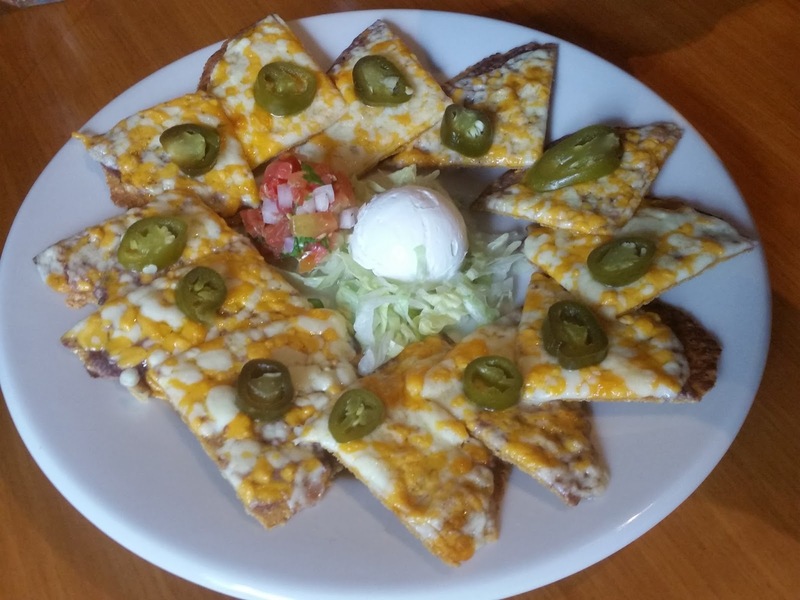 The Nachos come in two versions – Classic and Bolder. 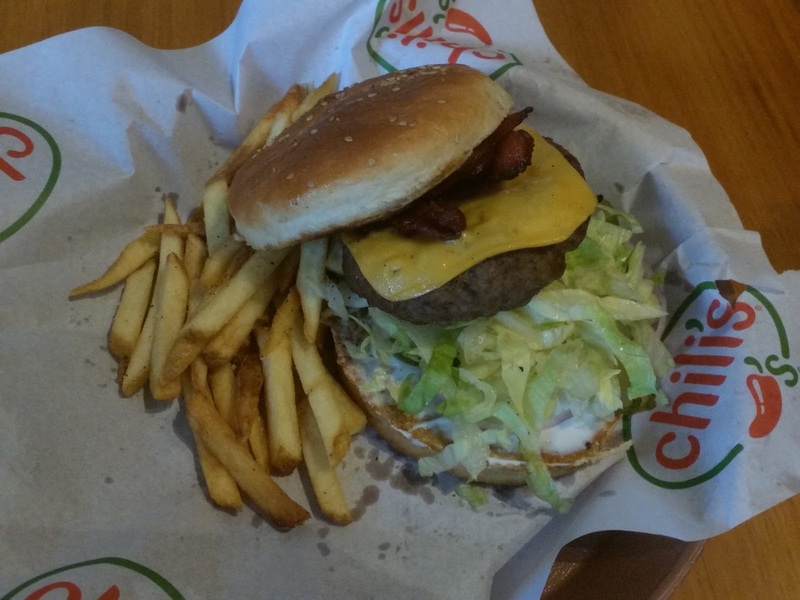 With melted cheese and jalapenos the classic version was a bit bland but went well with the accompanying sour cream. 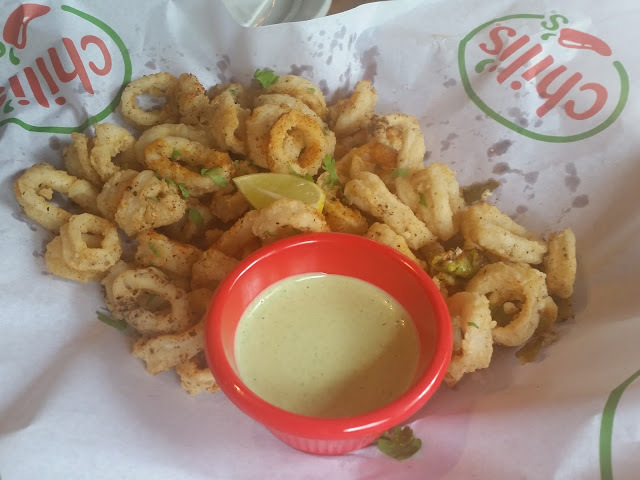 The bolder version with chipotle flavor was spicier and should be a hit with Hyderabadis. Soon we were served the non-vegetarian Ultimate Dipper, a combination of five popular starters from the restaurant served with an array of dips. Out of these the Chicken Wings and the Boneless Chicken were delicious. The tangy chipotle and BBQ sauces in which both were tossed added the extra zing to the dishes. For vegetarians, the Southwestern rolls was part of the Ultimate Dipper – a tortilla roll filled with an assortment of vegetables and cheese. Texas Cheese Poppers was another dish there which is worth a mention. Country Fried Calamari is another starter not to be missed here. The squids were crunchy but not rubbery and the dip they go with was just too good. For the main course, my favorite surely were the Pork Baby Back Ribs with their smokey flavor. 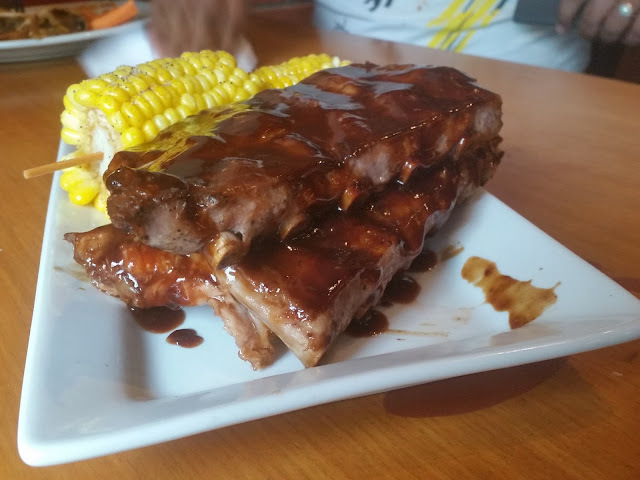 They came in two versions –Original BBQ and Honey Chipotle both served with corn and potato fries. The smoked meat was soft and came out easily from the bones. Porkaholics have very little choice in Hyderabad, and this surely ranks among my top pork dishes in the city. Among their steaks, Classic Tenderloin was served with veggies, mashed potatoes and garlic bread. The Philadelphia Cheese Steak is another one of the favorites. Both the steaks are to be ordered rare or medium rare to enjoy them to the fullest. Chili’s also have their signature burgers – the Big Mouth Burger had a thick meat patty with cheese and vegetables. People preferring pork went for their Classic Bacon Burger. Chipotle Salmon was the fish item on the menu. More than the fish, I loved the chipotle cream sauce based gravy which was a good combo with the coarse rice served with it. 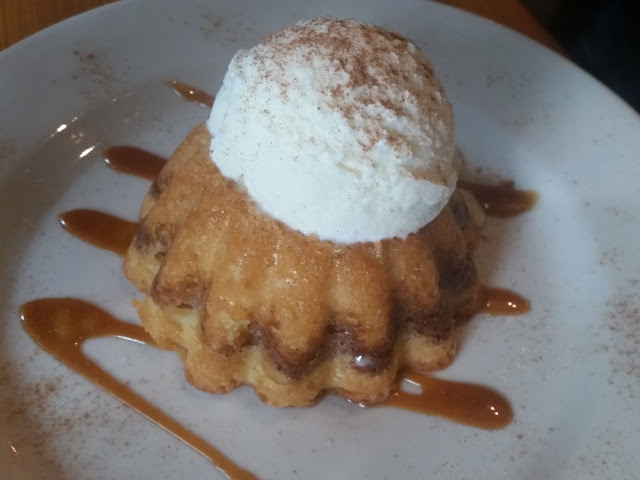 Among the desserts Cinnamon Molten Cake was everybody’s favorite – the strongly cinnamon flavored cake with a drizzle of caramel was topped with vanilla ice cream. The Molten Chocolate Cake topped with a chocolate shell also looked good and was delicious as per the people who tried it. Chili’s provides one of the best options in Hyderabad to try out the Texan-American cuisine. 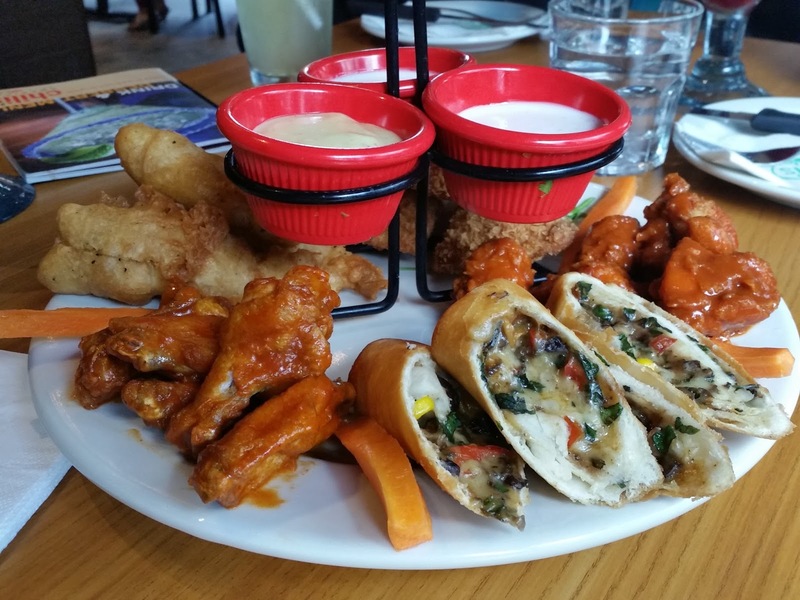 The newer items in their menu show a drift away from Mexican towards South West American food. The menu is elaborate and the waiters are helpful – choose items which suit your palate, and you will truly relish them. Yummy, yummy and awesomely yummy!!!! 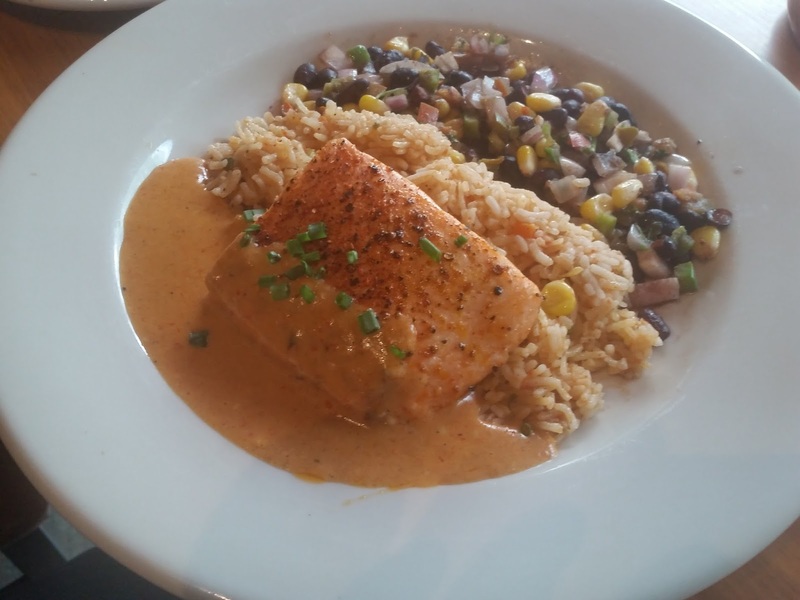 Chipotle Salmon would be my favorite dish! !